Your empire has grown vast and powerful, reaching beyond every edge of the galaxy. Now you must ensure the ties that bind your planets do not falter. Assert your dominance in the political arena. Use your clout to advance your agendas. As your borders expand farther and farther, do not let the core of your empire fall into oblivion! 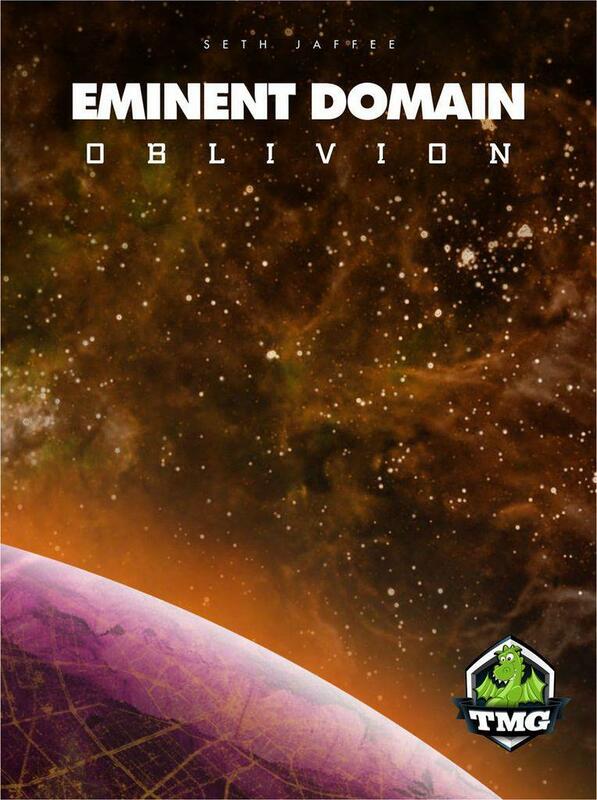 Oblivion is an expansion of Eminent Domain, and cannot be played without the base game. Its focus is on the political aspects of running a space empire, adding a new Politics role and global agendas that affect all players. We recommend that you play the base game several times before incorporating this expansion.